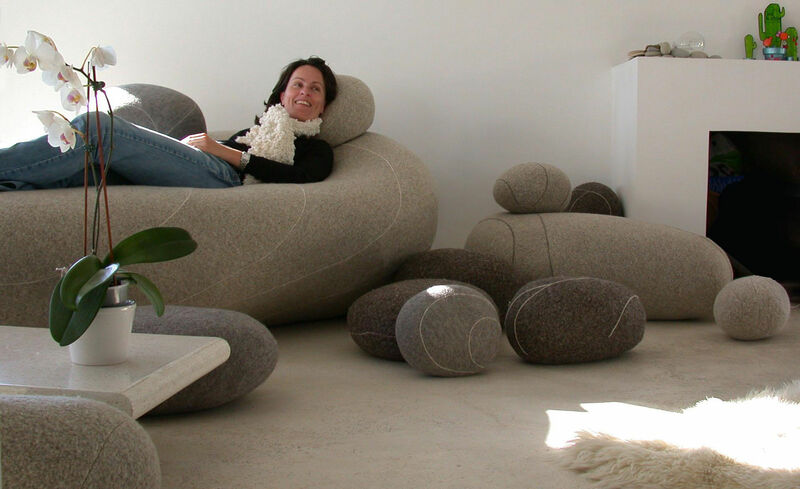 The collection Livingstones consists of a multitude of oversize pebbles (pillows, cushions, pouffes, mattresses) which allows you to create your own comfortable pebble beach in your lounge or garden! 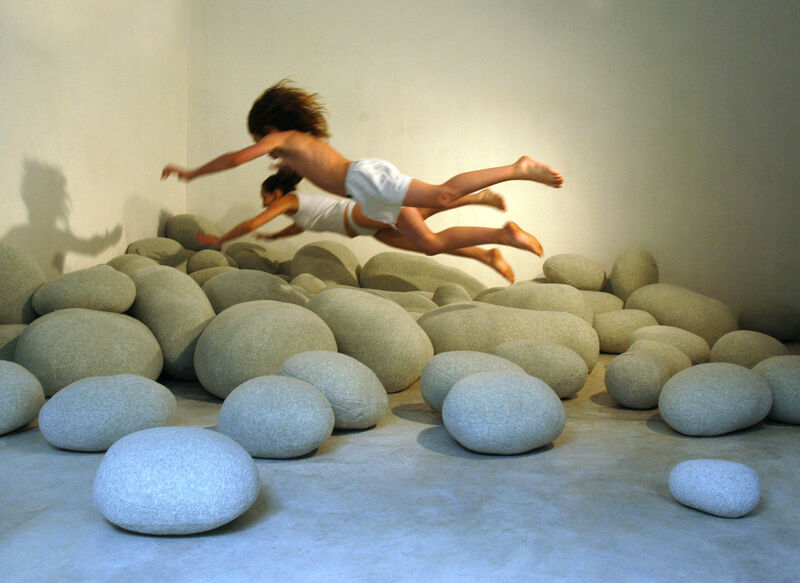 Transform your indoors or outdoors into an imaginary holiday landscape. 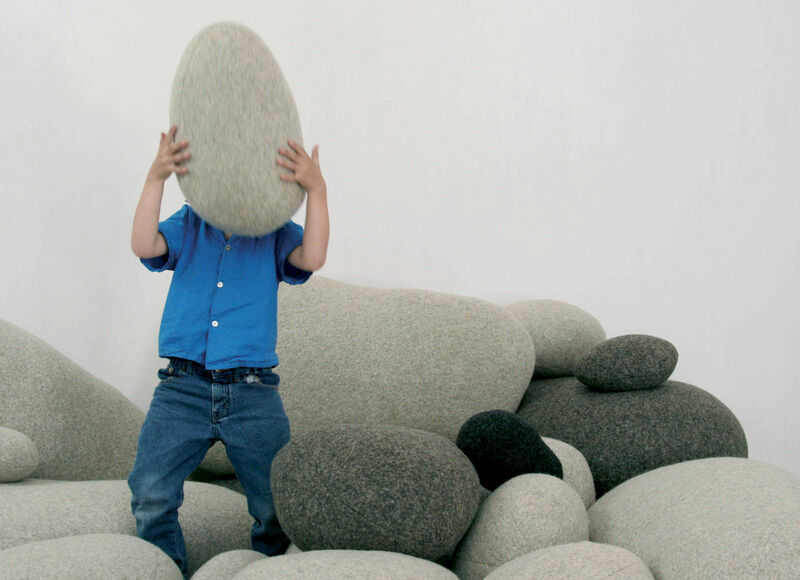 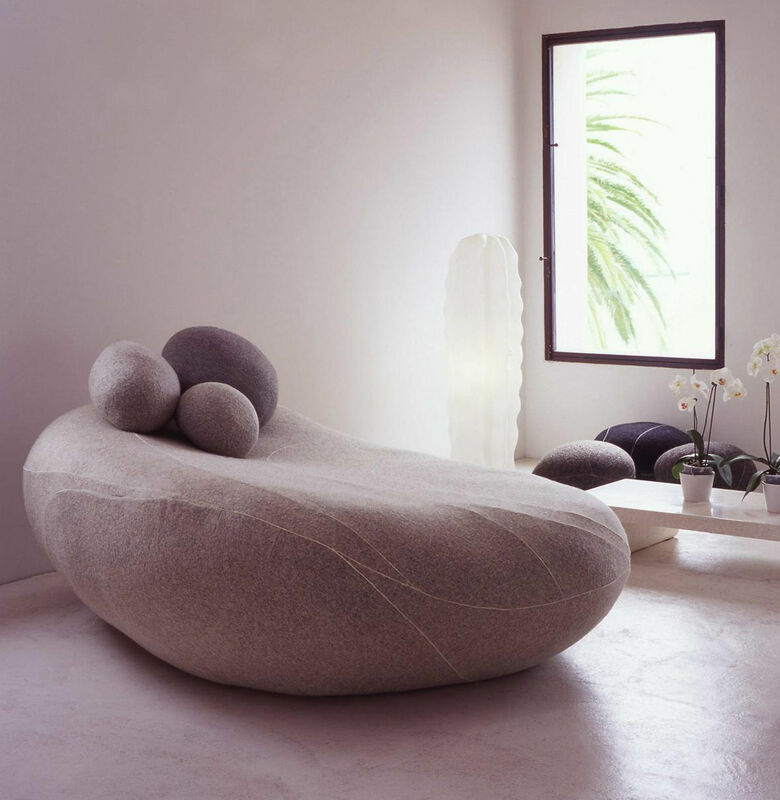 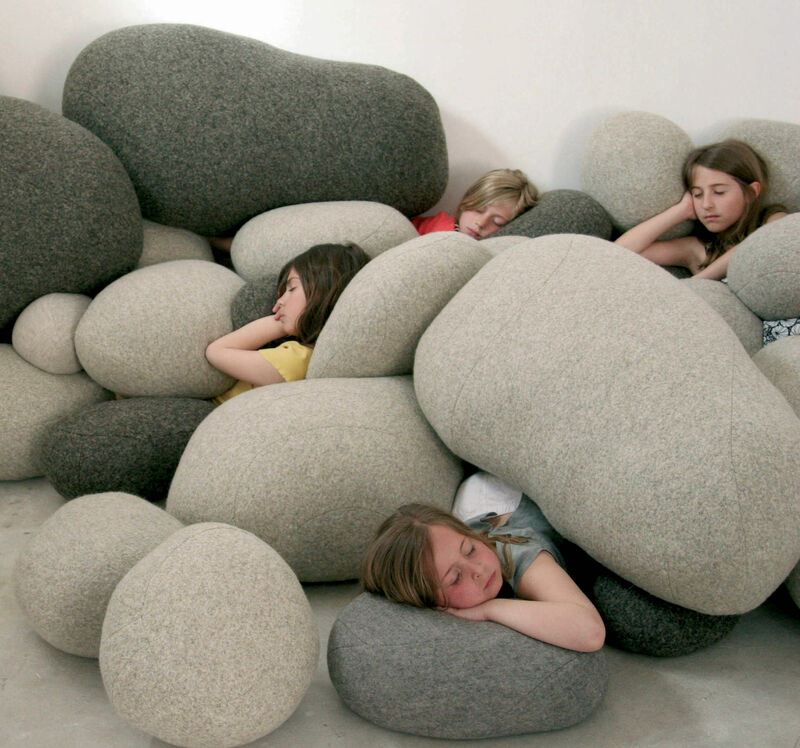 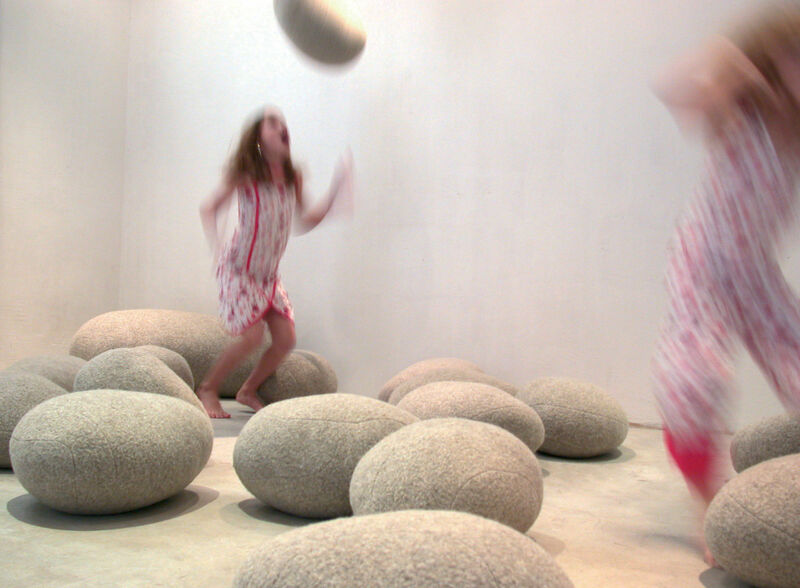 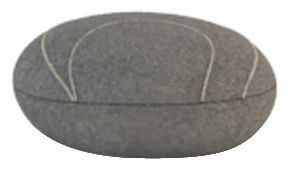 Soft, comfortable giant pebbles which create a rest area that varies in size and shape. 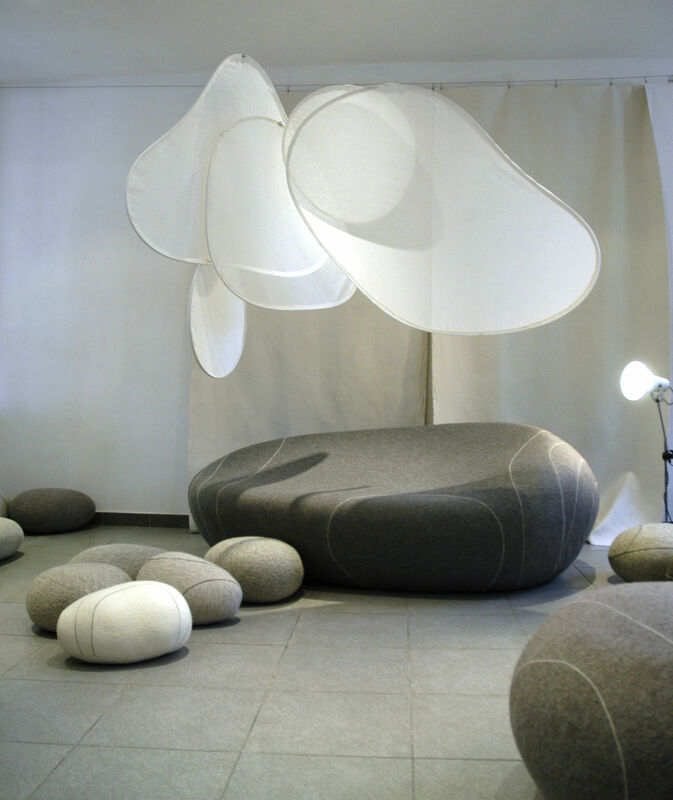 The wide choice of forms, dimensions and colours allows you to compose an intimate and poetic universe.